What's on VW Camper World? 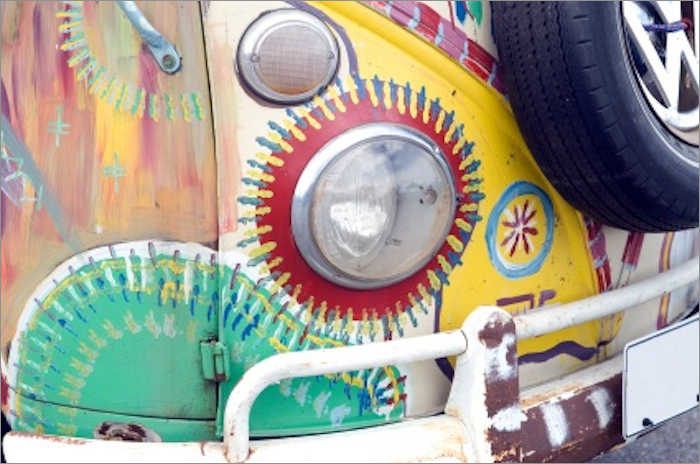 Here at VW Camper World, you’ll find plenty of stuff to feed your VW camper van passion. Having been a V-Dub freak for most of my life, I wanted to create a website with a light-hearted focus to celebrate these beautiful and timeless vehicles. This is not a site for seasoned experts, but a place for fans and aspiring camper-philes to indulge their obsession, browse for a van to buy or get some info on these lovely beasts. I’ve put together some interesting things to read about, with photos to paw over. There is a section full of related books and magazines, and a wide range of weird and wonderful VW camper van stuff including mad gift ideas (either for yourself or someone else!) and T shirts. The Q & As section aims to address many of the questions I’ve seen people asking time and time again in forums. Have a read of the how to guides or tune in to watch as one of my team renovates a 1983 T25. I’ve also compiled some recommends of music for the road. These are sounds I’ve grooved away a mile or two to and hope you love them as much as I do! I'm Helen Martin, and my hope is to inspire those who are fascinated with this charismatic little bus. So, I invite you to stop off at VW Camper World for a while, grab yourself a cup of something, and indulge yourself in all things camper. DO I NEED SPECIAL CAMPER VAN INSURANCE?